A leading video game community, ResetEra has quickly made itself a frontrunner in the world of video game discussion with over 15 million posts and 40,000 members. 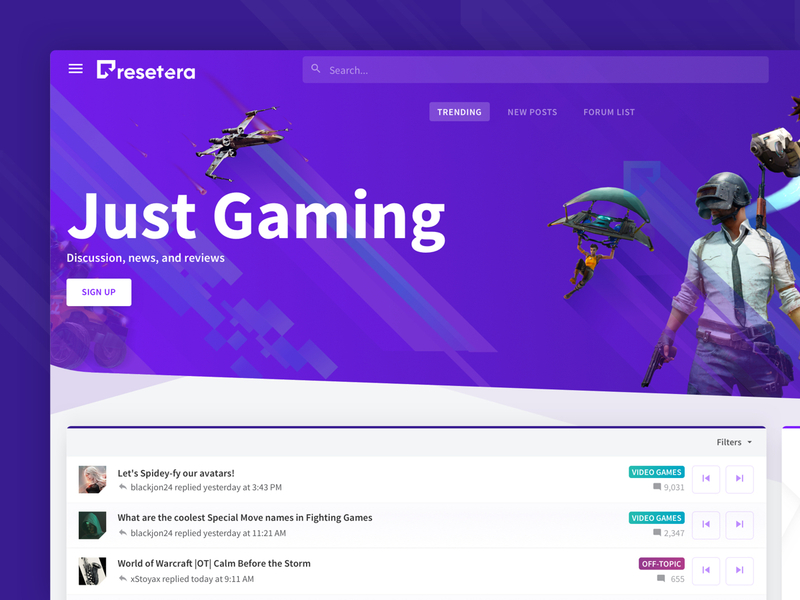 Looking to continue their growth for the future, the team behind ResetEra approached our team to deliver a modern, easy-to-navigate, and unique theme. We approached the project with full creative reign, undergoing a very iterative process on the brand motif and userflow. 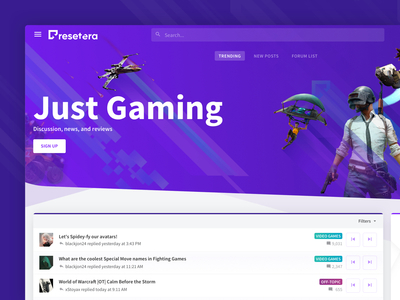 Keeping to an airy aesthetic but still incorporating a lot of subtle flare, ResetEra has become one of our best forum projects to date.